I'm back with another in my ongoing series of activities for the family. 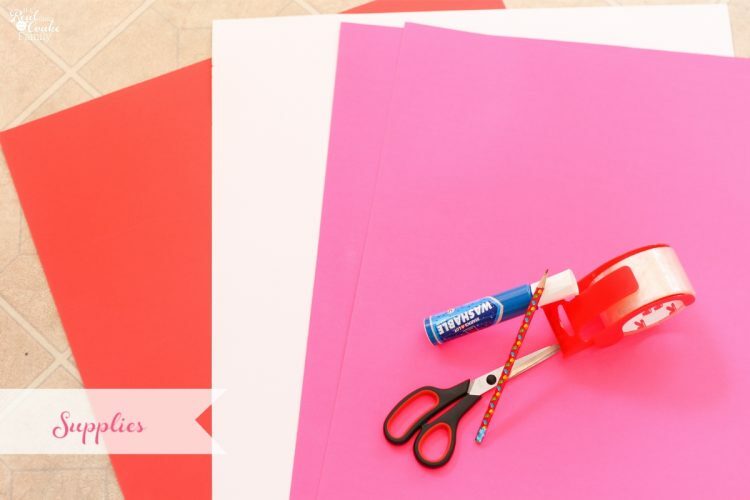 This month, since Valentine's Day is quickly approaching, I came up with a simple and inexpensive idea that incorporated the upcoming holiday into our family activity. 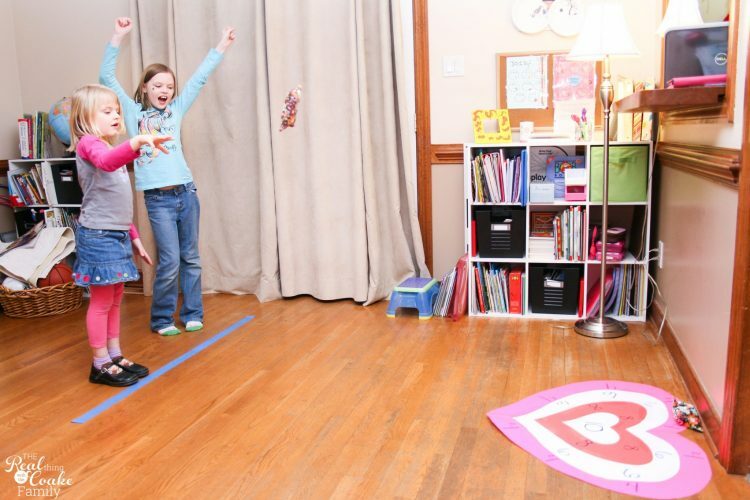 This month our family activity idea for you is a Valentine bean bag toss for the whole family. It cost me $3 to put together and we had a fun time playing. Let me show you how I put it together and tell you the rules we used to play. You will also need bean bags. I made mine long ago. You could make your own or you could buy some for fairly inexpensive. I found bean bags at a local teacher supply store for less than a dollar each. To make the game board, start by using the one sheet of white poster board. Fold it in half. 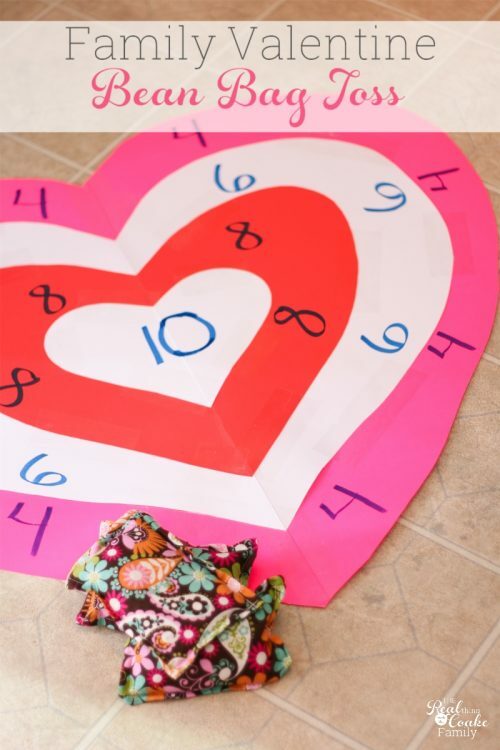 Draw a heart on half, using the majority of the poster board for the heart. Cut the heart out. 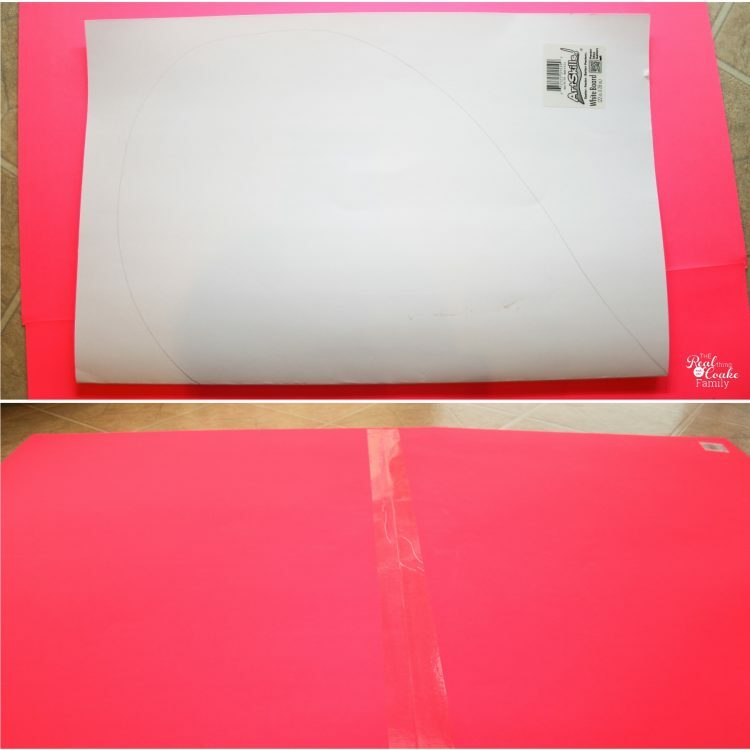 Tape your two hot pink sheets of poster board together, taping the wide or longest sides together. 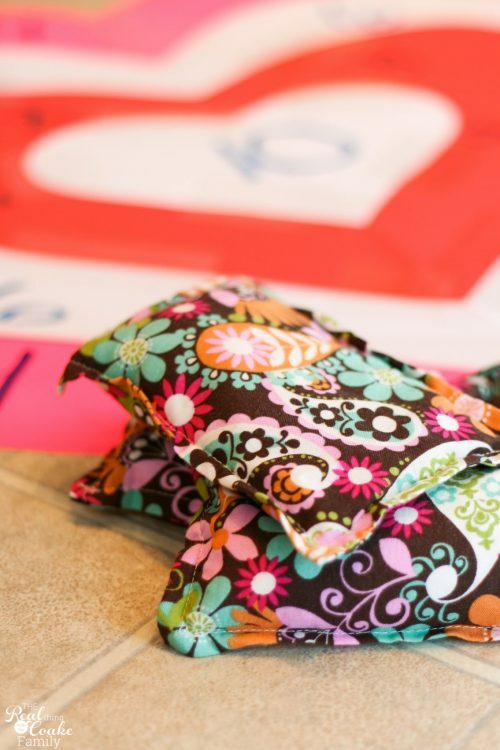 Place your white heart on top of your taped together pink poster board. 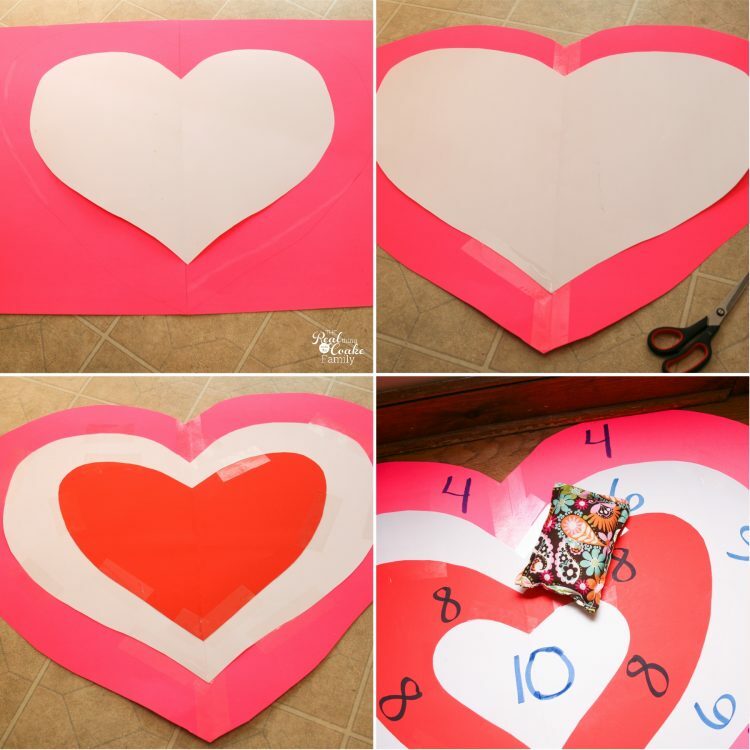 Freehand draw a heart on the pink, making it larger than the white heart and filling the height of the pink poster board. Cut out the pink heart. Finally, cut the smallest heart out of your piece of white card stock. Tape all your hearts together. Label the different sections with your point values using your marker. Your game board is complete! You just need some bean bags and some family or friends with which to play the game. We thought of lots of different rules and decided to team up. We played our game 3 times using these rules. We played so everyone had a chance to partner with each family member. Each team of two people had two bean bags. Each person on the team got to throw their bean bag one time per turn. They had to stand with toes behind the line. They had to wait to collect their bean bags until both players on the team had taken their turn. Then they needed to add up their points, write them down and total them up. We played to 100 points. The points added up quickly! 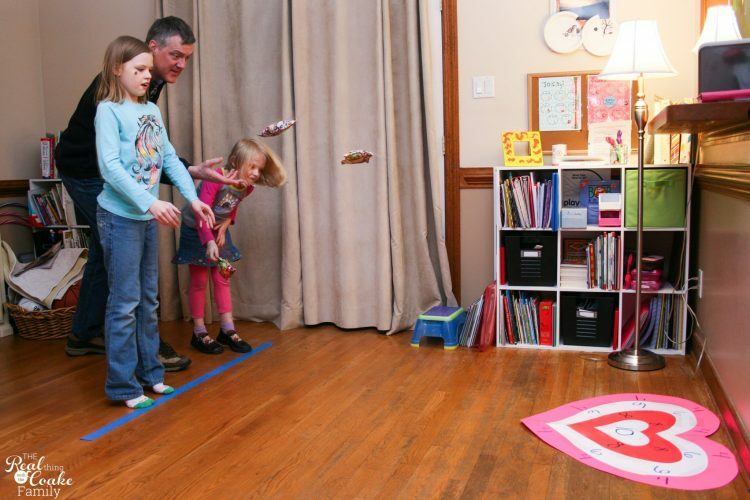 Everyone had fun tossing and seeing how many points they got. We had thought of playing the game as a family team and competing together to see how many turns it took us to get to 100 points. We did try it once and it was much too fast of a game. If you play it that way, I would recommend using a higher point total or lower point values on the game board. I had really wanted us to play as a family because Pumpkin and Snowflake are 5 years apart in age. As Pumpkin is the youngest and quite a bit younger, she often feels like she is the worst at things(that is how she says it). She isn't, she is five years younger, but it is hard for her and I don't like it. I had thought that playing together as a family would work better for her to feel part of the team. As it was, everyone wanted to play team against team and she did get frustrated not being able to toss as well and get as many points as everyone else. In a lot of cases, when Pumpkin had a throw like this, we gave her 8 points rather than the 6. 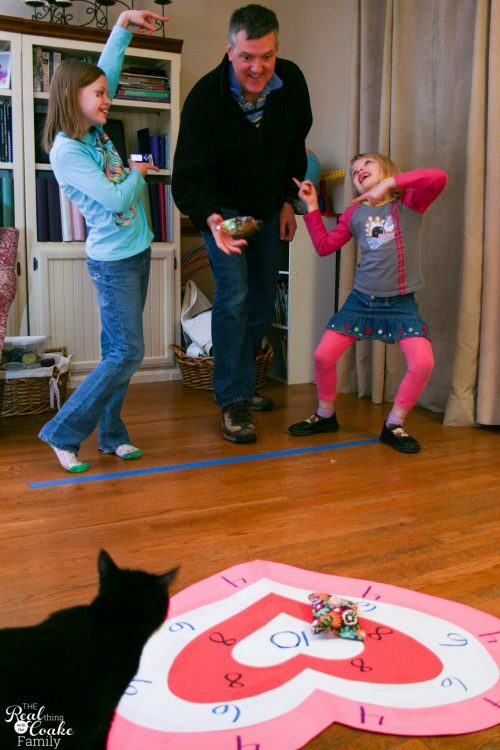 Well, really, we did that a lot, but we made sure to give Pumpkin more points to try to lessen her frustration at being the youngest. You, of course, can choose how you score the game in your home. I will say that this wasn't our best or most favorite of our family activities. It was fun and we did enjoy a night together as a family. That is the goal of my creating these activities, so in that respect, we nailed in out of the park! 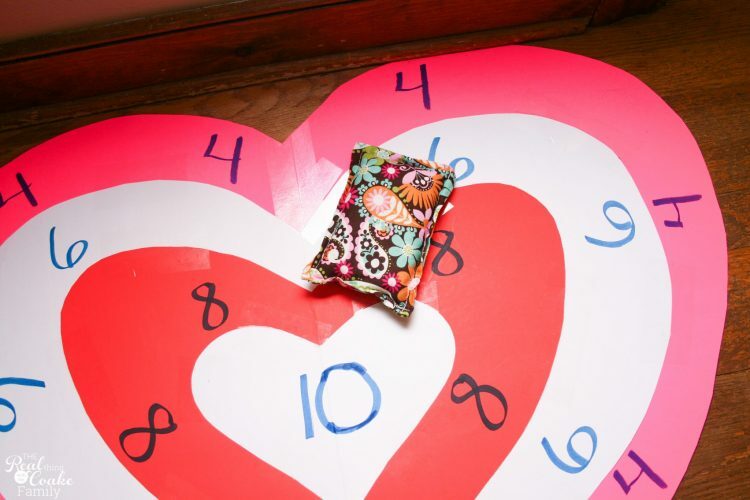 I hope you and your family have a fantastic Valentine's Day, enjoy some time together and have a little fun…maybe playing a Valentine bean bag toss game! I love the photos of the girls dancing and cheering! Me, too! They had fun cheering (and hamming it up for the camera, too!). What a super cute idea and it’s so sweet that your husband is right in there enjoying it along with your kids! Thanks for linking up to Moms & Munchkins today. You have so many fabulous ideas! Thanks! Yes, they all did have fun. Of course, I didn’t post the picture of him sitting on the couch with his nose in the blackberry. Kind of wouldn’t go with the theme…but, we are normal like everyone else. Thanks! It was fun. I think we will be playing it again on Valentine’s Day as well. 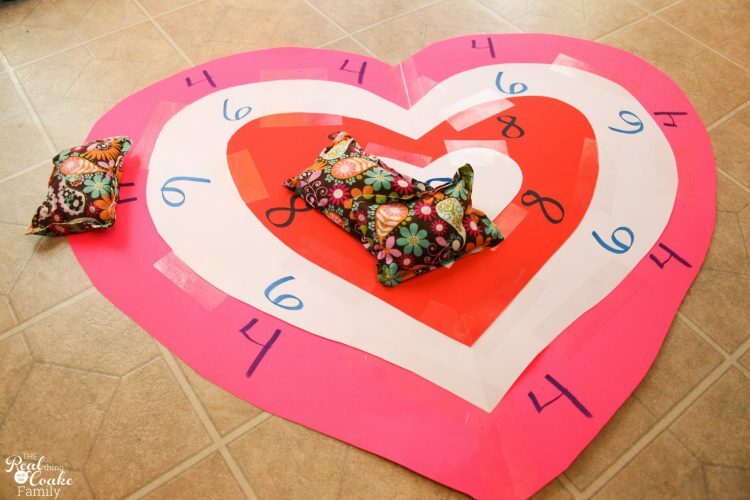 Then we will probably take it to our homeschool co-op Valentine party as well. I will get my money’s worth from that $3! Thank you! I love the action shots I got as well… it was fun. I think it would work great for a class party! 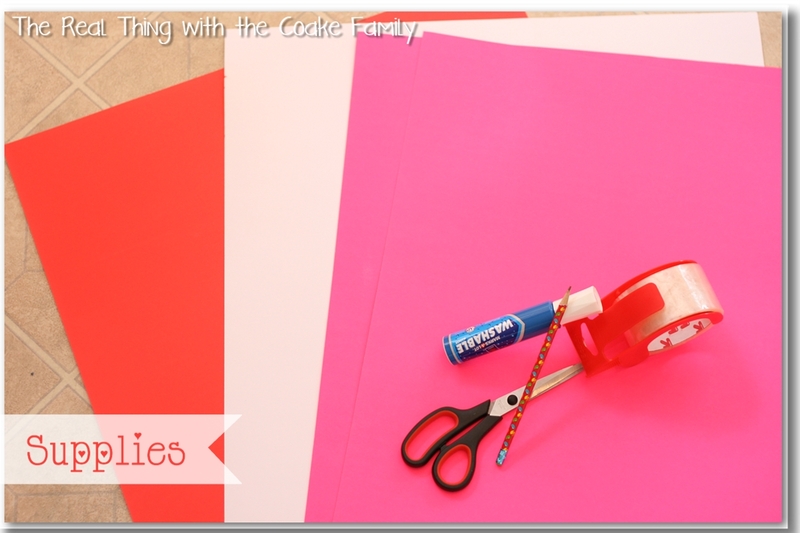 We are going to take it to our homeschool co-op Valentine party. I bet the kids will have fun with it. That is so much fun and so easy! I love it. Thanks for the idea. Hope to see you at True Aim! It sure was both fun and easy! Your welcome for the idea, enjoy it! It sure was! Thanks for checking it out and for hosting Monday Funday! What a great idea. This could be made and given as a gift to another family. Wish I had seen it and made it for Liza and Meg last weekend. By the way they loved your Valentine mailbox craft. C3 Ask K to text you the picture of their completed mailboxes. Yes, it could be a gift. 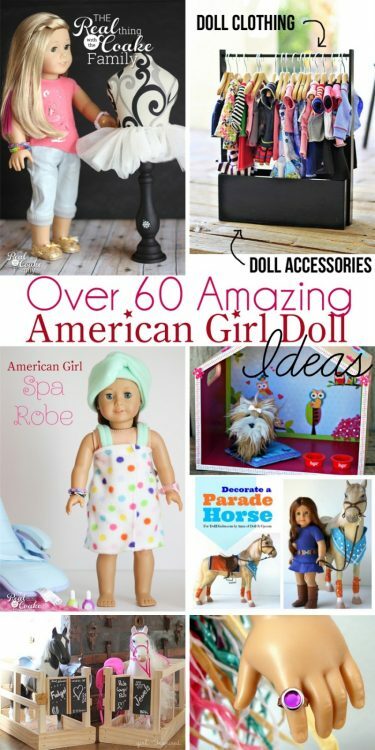 It would be pretty easy and inexpensive to put together. I bet L & M would have fun with it! I will text K and ask him for pics. Glad they had fun putting the mailboxes together. 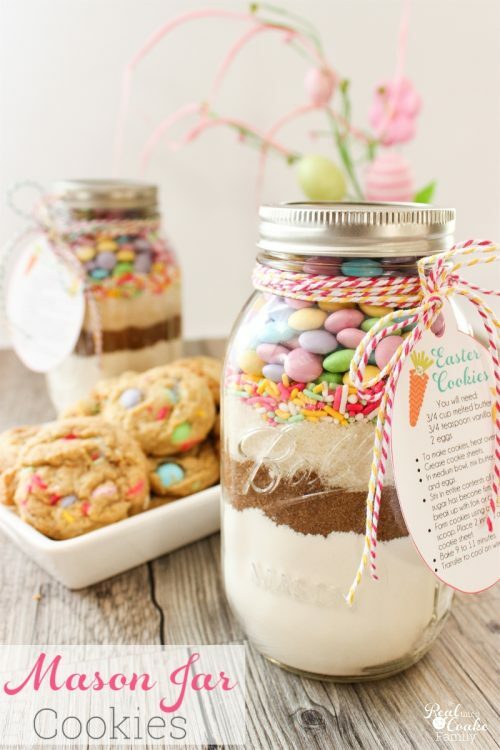 What a cute idea, I love this! I’ll have to try it and see if my boys like it! Thanks so much! I bet your boys would have fun with it. We are also inviting contributors to join our collaborative Share It Saturday Group board on Pinterest. It’s a great way to reach out to new viewers. The link is on our post. Hope to see you there! Thank you! I love the action shots as well. They were having fun and having fun hamming it up for the camera as well. Glad you had fun with our activity, cutie!